2016 Chevrolet Silverado 2500HD LTZ is Summit White with Light Cocoa Interior. This is a 4WD with an Allison 1000 6-Speed Automatic transmission and a Duramax 6.6L V8 Turbodiesel engine. Recent Arrival! 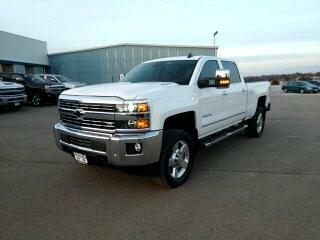 Stop by to visit the friendly Sales Team at Friesen Chevrolet in Sutton NE today! "IF YOU'RE SMILIN' WHILE YOU'RE DRIVIN' - FRIESEN IS THE REASON!"